Special events call for special invitations. University of St Joseph had the unique opportunity to work with Chris Lemmon and Gina Raymond of Stone Manor Productions to raise funds for its Jack Lemmon Film Series. 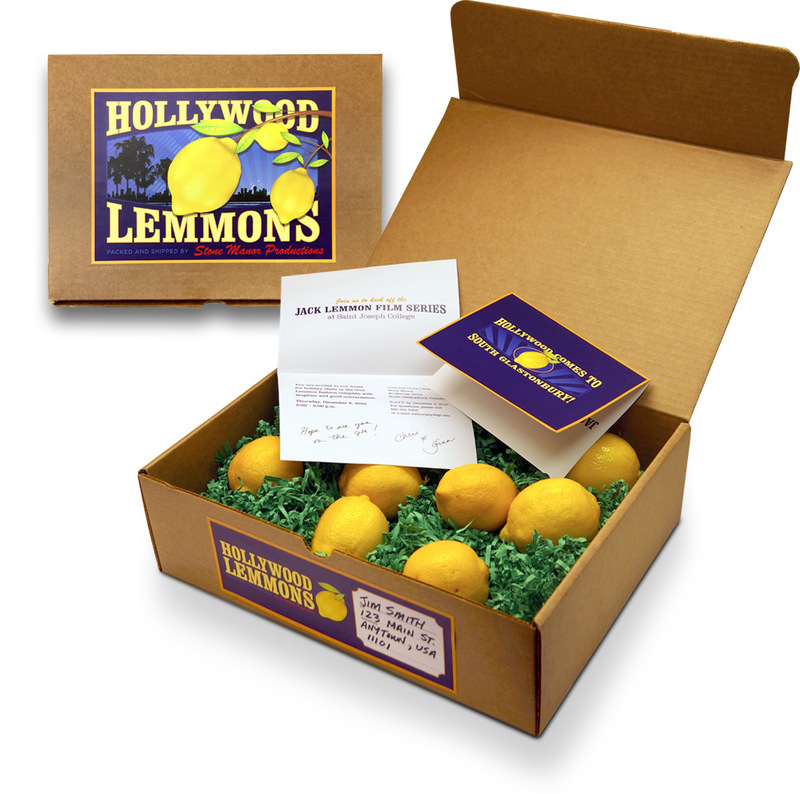 The boxed invitation resembling a fresh fruit crate included a dozen fresh lemons crated up with a personal invitation from the hosts.